Working as a nanny must be one of the most rewarding jobs out there in the career field of today. Instead of the office buildings, corporate politics and concrete jungle, you report for duty in where it’s almost mandatory to spend your days outside. This is called discovery and can cover anything from picnics in the park to giant playgrounds, sunny beaches to market shopping, educational play centers to a full day’s outing at the zoo. On days when the weather doesn’t suit, the play room gets a solid work out with arts and craft, games, Lego, and dress ups before moving to the kitchen to splatter flour across every surface and drip gooey eggs down the cupboards. Of course there is a catch, as any nanny or childcare provider will tell you, you must love kids. If your idea of kids and being a nanny is to have a quick game of peek-a-boo and then pop on a movie to amuse themselves whilst you curl up on the couch sipping tea, high-five to you. Please let me in on your secret because I’d love to know how you get those kids to sit still! Because looking after kids takes real effort, especially if you want them to sit still and look interested. Not only must you love kids, you must also understand them. You’ve got to know how to handle them at their best, but most importantly, when at their worst. Plus, if you’ve got a baby or a toddler, you better be really talented at doing everything one-handed whilst toting a lug of squidgy baby around on your hip. As fellow nannies, childcare workers, and full-time mummies and daddies are all too familiar with, here are ‘5 Things You Didn’t Know About My Job’. Yep, that’s right. Kids create mess. Sometimes I marvel at just how much mess they can make in the space of a short amount of time. No amount of regular tidying, organising and preparing can combat the destruction that will occur within 5 minutes of them arriving home from school. The cushion you just poofed in the carefully presented show room will look as though a bomb just went off. Food will be dropped, cups of milk will be spilt and the plate of fresh baked cookies will find themselves on the floor being inhaled by the dog if the sticky fingered toddler has anything to do with it. You will bend down to tie someones shoelaces and they will sneeze all over you just as you look up to face them. The kids will empty half the sand pit from their shoes onto the just vacuumed floor even though you told them not to take their shoes off inside and dirty hand prints will become the new-look wall paper. The key thing I’ve learnt is that no matter how hard you try to prevent something from happening, the likelihood is that if kids are involved it will happen. Best prepare yourself for it and except it. In the nanny life, mess is a reality of the job. Everyday I leave for work freshly showered and smelling of french vanilla and come home smelling of spit up, of little sweaty bodies, sometimes of poo (I know you’ve all been there too!) and often sporting an unknown but suspect substance lodged in my hair. Yes lollipops, cupcakes, colouring in and games can depict the essential tasks on a good day, but they aren’t always so easy, free, flowing and fun. It would be more accurate to say that these activities almost singlehandedly contribute to the devastating amounts of mess and destruction mentioned above. I don’t know about you but I can be a little bit of a control freak, especially in the kitchen. Relinquishing that control and love of perfection so that cookies can resemble smudges of brown gooey blobs and muffins turn out to be over-beaten, dense cakes can take a bit of getting used to. Every day to-do lists are made, jobs are to be done, time schedules are to be kept. Commitments are to be up-held, there are errands to run and too many places to be all at once. Also, don’t forget that you’re doing all of this with kids. Which means you’re on their time, the slow turtle time. I’m sure you know as well as I do that kids, especially toddlers, don’t have any concept of time much less a sense of urgency. For a nanny, as with anyone attempting to go about their day with a toddler attached to their legs, you must accept that plans will go forgotten, dinner will not be made lovingly, craft activities will be left half-finished on the dining room table and that load of washing will still be in the washing machine at the end of the day. Serial offender on that one. Bugger! A bad day in the nanny life can mean one big blur of running against the clock to make the impossible happen. Each day I vow to be more organised, to get more done, and to tick more boxes so that we can have even more fun. Yet each evening I go home telling myself that I did my best and tomorrow I’ll try again. The nanny life really can be something special. It offers the chance to stay forever amongst a world in where magical fairy tales and make believe stories are the most important part of the day. For the kids, their happiness depends on whether they decide to dress up as Little Red Riding Hood or Rapunzel, knowing that if they play their cards right they’ll get to lick the bowl of the banana muffins now baking in the oven. 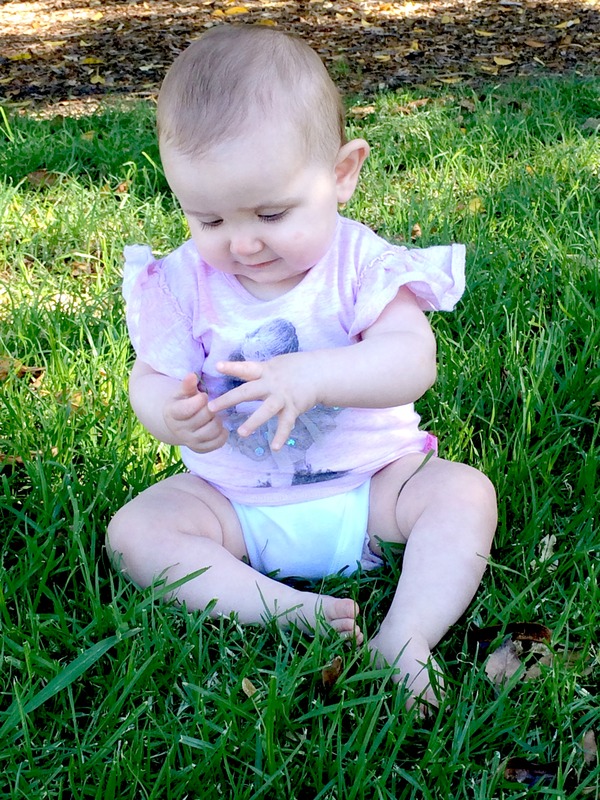 The days can be full of smiles, laughter, giggles, and cuddles. But it can also be harsh and cruel. Kids will counter arguments with, ‘but mum doesn’t make us do this,’ and ‘mum makes it better, I don’t like this,’ after you’ve just made their favourite cheesy lasagne for dinner as requested. They will force you into the centre of their ongoing sibling rivalry and ask that you take sides. They’ll then resent you either for taking sides, or for refusing to take sides. Either way it’s a losing battle and you may as well secure down the hatches and prepare for the onslaught of tears for the next half an hour until you can distract them with something shiny. Some days, no matter how exciting the activities were, no matter how much fun you had together, they will still go running to mum when she gets home. They will answer ‘nothing‘ when she asks what they’ve done that day and shrug in noncommittal when asked if they liked spending the day with Nanny. The nannylife can be a thankless job at times. Parents come home stressed and tired to worn out and grumpy kids exhausted from a big day of adventure. Sometimes how are you’s and thank you’s go unheard amidst the war over bathtimes and bedtimes. Sometimes children say mean things, and it hurts. Every few days I walk out the door in the evening after a day that seemed endless and question whether the kids really like me or if they’re just making the best of a situation they have no control over. Little people, little things, major moments. When you spend every day with kids and you share their high points, help them through their challenges and watch them grow, you do start to see them as (your) kids. It happens that way when you work in their home, day in and day out and get to know them really well. Familiarity means you get to notice and understand the little intricacies unique to each person. As a nanny, these kind of observations are like gold and are stored in our toolboxes for later use. Crucial, potentially life changing moments, can hang in the balance. Unless you can pull your rabbit out of the hat, your Mary Poppins spoonful of sugar and defuse the situation, before you know it you will be facing a problem escalating to tantrum status that ain’t nobody got time for! When I take the time to remember that Miss6 likes her sandwiches cut into squares instead of triangles, that Miss11 prefers light purple to dark purple, that bub likes munching on cheese sticks but doesn’t actually like cheese, and even how BossDad takes his coffee, I’m doing infinitely better in the super nanny stakes. You get real ‘super nanny’ points if you’re able to remember where you last saw Snuggles, the much-loved teddy, 5 minutes after you were already supposed to be at prep. Or if you can remember where BossMum took her shoes off three days ago and left them and when the family dog was last vaccinated. As a nanny, you’re hired to look after children (sometimes many) for a set amount of hours each day. You’re expected to do this on your own, without the aid of others, not as a babysitter or an au-pair and not as a mother’s helper. Generally speaking, a nanny has sole care of his/her charges. The Nanny is tasked to make many important decisions for the child, to supervise their growth and education and to influence their development into young people. The responsibility is big! As I mentioned recently when talking about the guilt experienced when a child is injured in your care, the responsibility you have for young children can mean the difference between happy lives, and endangered lives. Food allergies, health concerns, house hazards, driving risks, stranger danger and many other scenarios are all factors that a nanny must consider each day and act so to prevent the worst from happening. Another reason, a heavy reason if you’re a bit of a worrier like me, is the constant comparisons and questioning that can go on in your head if you let it. As a trusted carer for the children, with an average of around 38+ contact hours each week, the burden of being required to make all of the important decisions can be taxing to the uninitiated. Everyday I question something. From should I have been stronger and tried to let her self settle a little more before picking her up to am I doing enough educational activities with them? From is Miss6 getting enough attention in the afternoons in-between the scramble of activities, chatterbox Twins and baby, to should I be finding a play/social baby group for Miss Viv already? Should she have been exposed to more kids her own age by now, would a mothers/carers & bubs exercise class be beneficial for her or is it just a self-indulgent excuse for me to bludge a little on work time. The list could go on and on forever if you’re not careful. It’s a big deal this nanny life. Yes a lot of the times we get to have crazy amounts of fun and games, but there’s also another side to it that most people don’t see. On the other hand, anyone with kids knows all too well what I’m talking about! 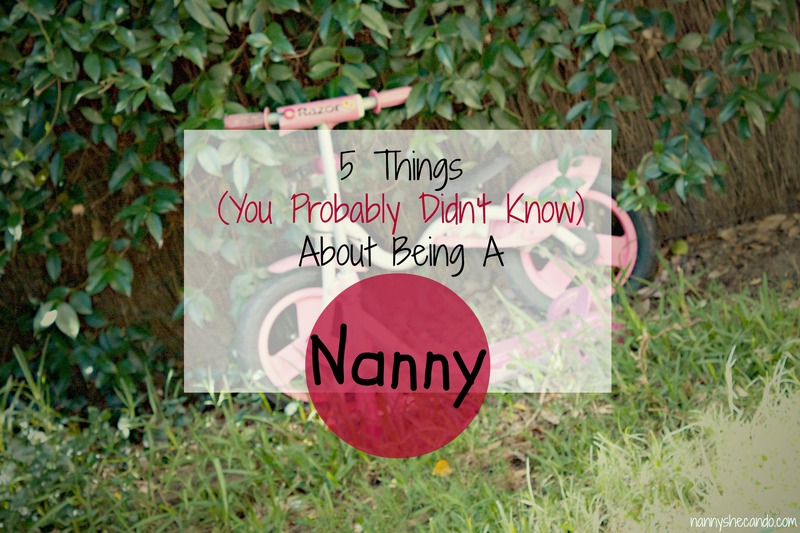 Despite these 5 things about my job in the nanny life, I honestly truly do love kids. The cuddles, the smiles, the laughter, the energy and the adventures make it all worthwhile. The opportunity for a Peter Pan lifestyle is just too great to pass up. >>> What are the 5 main things about your job that most people don’t know? >>> If you work with kids, how do you handle the low points on the bad days? Being a nanny is a big, big job… I met up with the lady who helped me when the twins were born, she started when I was pregnant in fact. She now works for one of the other twins mums we met at the time, who since had another baby. So she’s been with we twin mums for 8 years now, She really is a lovely person who has been such a wonderful friend to myself and the kids over the years. I keep begging her to come back to help me in afternoons and with ironing… but she’s too busy – booooo. I’m a nanny too and can relate to everything you wrote in this post. This week I’ve found it hard not to take it personally and wondering whether this job is worth it when the 6 yr old girl I look after criticises my clothes every time I see her and the way I look in front of her friends at school. The 2 1/2 year old girl that I look after is sometimes the sweetest little girl- today she told me she loves me which was very nice to here. What I find is hard as well is dealing with anxious parents who don’t like you to take their child away from the suburb they live in because they do not have control over what could happen which means that we are limited to going to the same parks each day. Unfortunately helicopter parents can be some of the worst parents to work for. Could you maybe put together a plan of activities that you wanted to do with the kids and the location? That way the parents can know where you’re going, give them a map and a rundown of the area, explain the route you’ll take to get there and what you’ll do once you’re there. Maybe that could help ease their uncertainty about suburbs. Because I know as well as you do, going to the same old park every day is so boring!! Where are you based if you don’t mind me asking? Kids can say awful things with NO malicious intent or feeling whatsoever, but I bet they love you to bits and adore spending the day with the Nanny!!!! I’m exhausted already! How lucky the families are to have found you, and to keep you! It really can be a taxing job Norah, but then again so is teaching primary school kids! Awesome post 🙂 such a great insight into your world ! Thanks Bec, glad you enjoyed it.